UCM Services Orange County now offers an air duct cleaning service that is very practical for anyone looking to stay ahead of the clean air game or for those worried that their air might have already become compromised. An air duct system can easily be jeopardized if the inner workings have become overwhelmed with various bacteria and dust. If your air duct is not able function properly, then it can not properly distinguish between clean and dirty air. If this is true, then you could potentially be breathing in soiled and harmful air. Since air ducts need to be addressed every few years, it is best that our cleaning technicians first examine the state of your air ducts before continuing onto the cleaning service. 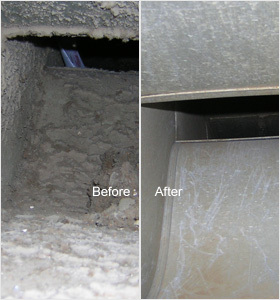 Cleaning an air duct when it is not necessary is a waste of our time and yours. If the layers of dust and air pollution have piled up and your air ducts do indeed need to be cleaned, our cleaning technicians will address the ducts as well as all the inner portions of the HVAC system. Using high powered vacuum type machines we will free your ducts of the stuck inside your system as well as treat the coils, blowers, drip pans, and any other relevant parts. UCM Services Orange County's services are exclusively green friendly. Since our goal is to create a cleaner, healthier environment, it would only be silly to hire a service provider not willing to stick to eco-friendly policies, wouldn't it? Why not have us check your air ducts while your carpets dry? 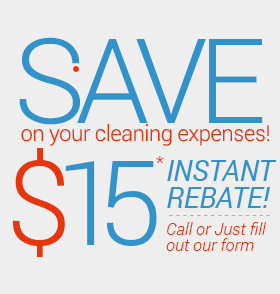 Call us today to hear about our money saving discounts!